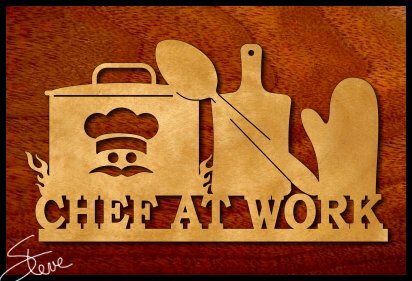 Chef at Work Free Scroll Saw Pattern. 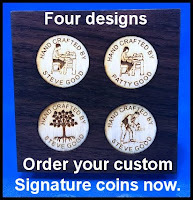 CORRECTION: In the last post I gave out an incorrect email address for the coin cutting jig. Marcus Bailey is the contact for the Jig. Sorry for the trouble. There are approximately 941,600 chefs, head cooks, and food preparation supervisors working in the US today. On average they can expect to earn $38,770 per year throughout their career. The unemployment rate for these professionals is around 8.7%. Over the next 10 years, the expected job growth rate is increasing by about 11.5%. That's good news for the 8.7% who are looking for a job. 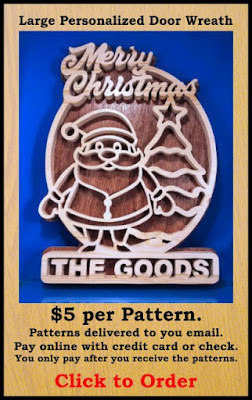 Need Scroll Saw Ready Boards? I have partnered with heritage Wood Specialties for a few years now. 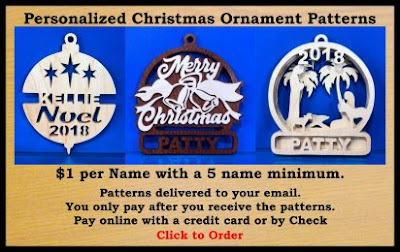 I get a supply for their Scroll Saw Blanks every month and have always been pleased. When I choose a partner as a sponsor I try to select from companies who have been recommended to me by you guys. That's How I found Heritage Wood Specialties. 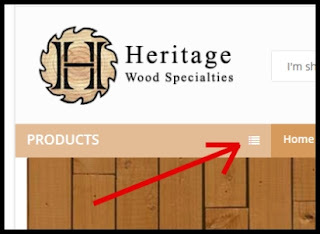 It is a rare occasion that I receive an email telling me they were disappointed with Heritage Wood Specialties. They do a good job. The scroll saw blanks are glued up panels in different sizes and thicknesses. The panels are color matched for a very even finished board. These panels give me the width and length of boards I need for larger projects. Buying large, thin boards can be a problem. Wood moves with differences in humidity. Heritage Wood Specialties does a great job of getting me large boards that are still flat. Yes, they will sometimes ship boards with a little cup or twist. That's just the nature of wood. They do a great job of keeping this to a minimum. I can't remember that last board I received that I could not use. 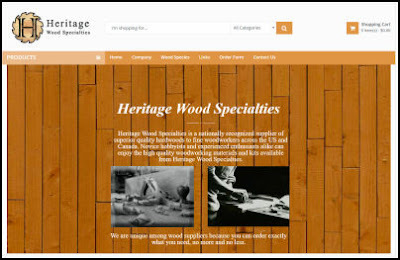 Heritage Wood Specialties is a small customer oriented operation. They deliver a quality product at a reasonable price. They are not a mass market company with hundreds of board feet in inventory. Most of the time these boards will be made to order. They take a little longer but deliver a quality product. If you need some nice boards then give them a try. One not to remember when visiting the Heritage Wood Specialties Website. The little hamburger is where you click to see their products.